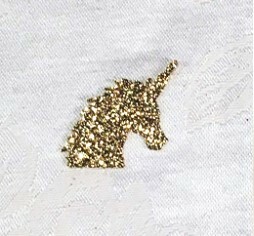 Our glittered unicorn-shaped confetti can be sprinkled on your dessert table, sign in table, table settings, etc. to add charm and dazzle to your event! Each unicorn measures approx .1" x 1" and the glitter is on one side only. Each order contains 100 pieces.